It was my first time to personally watch a dolphin show. They are truly an amazing and intelligent creature. With their trainers instructions, they performed some eye-opening tricks on the water surface like leaping, diving and walking through their flukes. They even know how to pose on a picture! While they may provide entertainment to us, it is our duty then to give them protection and security. So they won’t get extinct and our next generation could still witness their awesomeness. 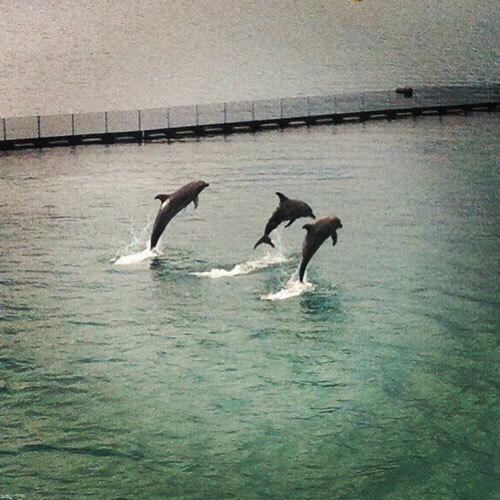 This entry was posted in Random Million and tagged animals, dolphin, sentiments, show. Bookmark the permalink.